Finding the best instant hot water dispenser for your tea or coffee. Reviewing hot and cold water dispensers for home, kettles and the most popular Insinkerator and Zojirushi models. 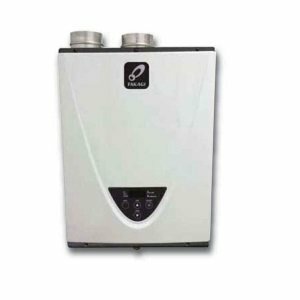 There are many hot water dispensers available today, from small portable ones that are easy to carry to those which are installed in your water supply system. All of them have the same function; they prepare hot water and dispense water at the temperature near boiling. In today's fast-paced environment where everyone is in a hurry, hot water dispensers are very convenient to own and use; they are used to prepare hot beverages such as tea, coffee, baby formula, even your favorite meal, instantly. Instant hot water dispenser systems are in a price range from as low as $20 to several hundred dollars. If looking for a quality expect to pay above $100... but let's look at the most selling brands and models found in several online stores. All these models have at least 3 stars and a decent number of positive reviews. Aroma AWK-115S Hot H20 X-Press is the 1.5-liter cordless kettle that is the best selling electric water kettle on Amazon.com. It is made of stainless steel housing with a 360-degree swivel base for cordless pouring. It also features water level indicator and non-drip spout with washable filter. Aroma AWK-115S has over 490 positive reviews and is rated 4.5 stars out of 5. This is the budget-friendly model as it sells for approx. $30. Braun WK600 Impressions is the 7-cup electric kettle, that is made of brushed stainless steel for durability. It features a large spout for easy filling and provides drip-free pouring. It comes with the integrated and removable limescale filter. Braun WK600 has over 150 positive reviews and is rated 4.0 stars out of 5. This high-quality model sells for approx. $115. Breville SK500XL Ikon is the cordless stainless steel electric kettle with a capacity of 1.7 liters. It features a removable power base, LED-illuminated water-level indicator, cushion-controlled lid, removable scale filter, bell indicator and more. Breville SK500XL has over 270 positive reviews and is rated 4.1 stars out of 5. This high-quality mid-priced model sells for approx. $60 reduced from$100. Zojirushi CV-DSC40 VE is the hybrid water boiler and warmer with a 4-liter capacity. The outer surface is made of the quality stainless steel with double insulation wall to keep water hot longer and with minimum electricity. Zojirushi CV-DSC40 VE has over 70 positive reviews and is rated 4.5 stars out of 5. 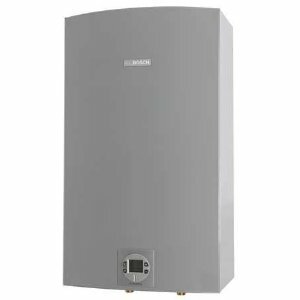 This is the high-end model and the most popular boiler/warmer that sells for approx. $155. Panasonic NC-EH22PC is the electric thermo pot with a capacity of 2.2 liters. The great thing about this unit is that it automatically boils water and then switches to one of the four variable keep-warm settings. It uses a simple touch of a button to dispense hot water for your tea or coffee. The built-in timer is an energy saver, and it can be set to start boiling up to six hours; dechlorination mode removes odor from water. Panasonic NC-EH22PC has been rated 4.4 out of 5, based on over 35 reviews. This is the economy models that sells for approx. $63. Zojirushi CD-LCC30 Micom is the 3.0-liter electric dispensing pot that offers some neat features. A micro-computerized heating system monitors temperature accurately. The control panel on the top features the re-boil mode button, the one-touch electric dispensing system for easy dispensing, timer and three temperature settings. Interior is made of the non-stick material for easy clean. Dechlorinate and descaling mode allows better taste and cleaner water and less lime buildup. LCD display shows the actual hot water temperature and time schedule from the programmable timer. Zojirushi CD-LCC30 Micom has over 40 positive reviews and is rated 4.6 stars out of 5. This is another great model from Zojirushi, and it sells for approx. $133 and provides the 5-year warranty. Cuisinart WCH-1500 CleanWater is the 2-gallon countertop hot and cold water dispenser that also keeps it clean through the filtration system. It has two spigots, push-button control and LED temperature indicator lights which indicates when the water is ready. Energy Saver mode reduces the usage of electricity by 50%. Cuisinart WCH-1500 CleanWater has over 39 positive reviews and is rated 3.6 stars out of 5. You can buy one for approx. $134 and it comes with a 5-year warranty. 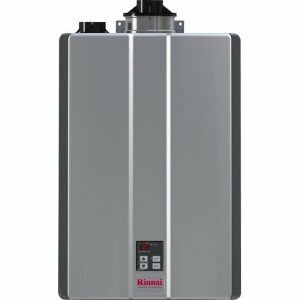 Waste King H710-U-SN Coronado is the instant hot water dispenser system that is consisted of hot water faucet with a single lever and the stainless steel tank with a self-resetting fuse. Thermostat switch allows easy temperature adjustment, from 140 to 190 F, making it great for kitchen and office use. The tank is insulated for better heat retention, and it provides 5/8 gallon capacity which is enough for up to 60 cups per hour. Waste King H710-U-SN Coronado has over 60 positive reviews and is rated 4.4 stars out of 5. It sells for approx. $167 and provides the 1-year warranty. InSinkErator H770-SS Invite system is the instant hot water dispenser installed to the kitchen sink with the tool-free tank connections and provided gaskets and fittings. A 2/3 gallon stainless steel tank can provide 60 cups of hot water per hour, at the temperature of 200 F. It has an adjustable thermostat to change the temperature from 160 to 210 F.
InSinkErator H770-SS has over 55 positive reviews and is rated 3 stars out of 5. It sells for approx. $188 and provides the 3-year warranty. Instant hot water dispenser, such as the types mentioned above, are very simple made. It has an electric heater that heats the water inside the small tank. You just have to fill the tank or boiler with water and plug it into the electric outlet. Advanced models or brands have the timer built in which helps you have hot water ready within a specified time, buttons to change the settings and temperature, LCD display, filters, descaling and dechlorination mode and more. The best instant hot water dispenser is the one that fits your needs, is durable and reliable. Either using a small portable electric kettle or have it professionally installed by the plumber, such as hot water tank dispenser, hot water is always there for a morning coffee or tea. My recommendations are to buy an instant hot water dispenser that is expensive. Why? Because you have options and quality is there. Expensive water dispensers have the filtration system, descaling system, dechlorinate system, warmer, they provide lots of hot water and keep it warm for many hours.